The City’s Office of Minority Business Development (OMBD) is proud to offer technical assistance and training activities on a variety of topics, as well as networking opportunities for minority and emerging small businesses. As contracting and development opportunities in Richmond increase, OMBD remains committed to providing maximum opportunities for minority, disadvantaged and emerging businesses. It is the agency’s mission to help these businesses participate in the full array of contracting opportunities that the city of Richmond has to offer. “We remain committed to having an inclusive environment that can lead to an increase in the number of minority-owned and emerging businesses that participate in city projects,” said Mayor Dwight C. Jones. While OMBD's programming encourages minorities to start new businesses, the agency is equally focused on ensuring that existing minority and emerging businesses take the necessary steps to achieve substantive growth. Programs are geared to inform, educate and motivate minority and emerging firms to become more involved in City procurement opportunities as well as create opportunities that enable contractors and service providers to build strategic alliances. Spanish courses are also available. A full schedule of upcoming training sessions and outreach events are available by clicking here or by calling (804) 646-5947. Mayor Dwight C. Jones joined developers Mike Glass and Ron Hunt, managing partners of 214 East Grace Street, LLC, in celebrating the start of an adaptive rehabilitation construction project at 213 East Broad Street and 214 East Grace Street today. As a symbolic mark to the beginning of the construction, the three joined other project stakeholders in knocking down a wall with sledgehammers within the Grace Street property. The $3.6 million project is a public/private partnership that will feature more than 3,000 square feet of commercial/retail space and 21 affordable rental units once completed. Virginia Community Capital is the primary project lender and will provide construction and permanent financing, with the City of Richmond participating in the project by providing gap financing through the City-wide Revolving Loan Fund. The project is the first and largest to utilize the City-wide Revolving Loan Fund. “I thank Mayor Jones and Peter Chapman, DCAO of Economic and Community Development, for assisting us with financing as we would have never been able to get this project started without the City’s assistance,” said project developer Mike Glass. Additionally, Pasture, LLC, has recently closed a loan with the city through the new funding stream for the build out of a restaurant. This deal is part of a $1.5 million adaptive historic tax credit rehabilitation project at 416 East Grace Street, in the old Montaldo’s women’s clothing store. The restaurant construction is currently underway, as all four apartments have been leased and the restaurant is slated to open in November 2011. The restaurant is expected to create several full-time jobs and more than ten part-time jobs in the city of Richmond. The City’s Department of Economic and Community Development is continuing to process other revolving loan applications. 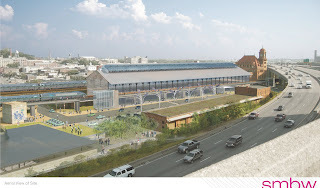 On Tuesday, November 1, the City of Richmond's Department of Economic and Community Development rolled out the Shockoe Revitalization Strategy for the Shockoe Bottom to guide the area's future growth. The Strategy will build upon previous planning efforts and include up-to-date demographic and economic profiles, a retail gap analysis, and existing and future market competition. The Strategy will provide guidance toward effectively implementing the vision. 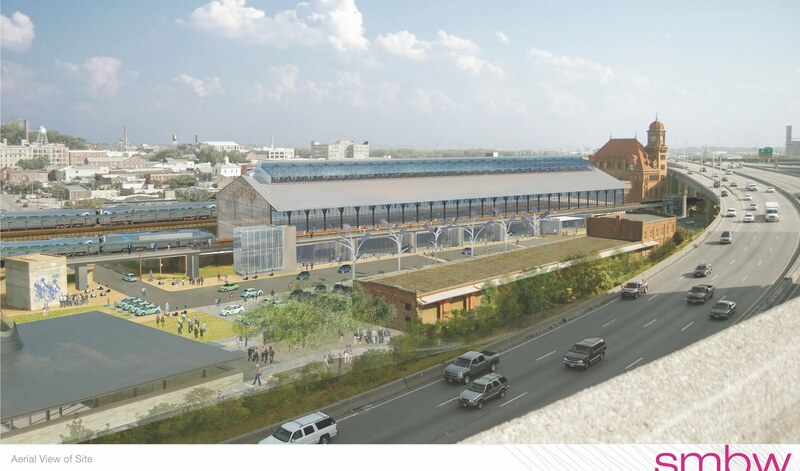 Click on the top two images in the link below to see the presentation from yesterday's meeting and the full Shockoe Revitalization Strategy.